Every morning I drive by this electronic billboard advertising all of the cute and cuddlies at the local animal shelter. They have big, pleading eyes. I can hear them screaming "adopt me" from the sign. They have names! 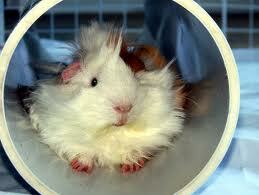 This morning I was flashed a photo of a furry little guinea pig. Named Oedipus. Now, for those of you who know the tale of Oedipus killing his father to be with his mother....well, I thought that entirely too appropriate for the world of guinea pigs. I wrinkled my nose and chuckled to myself. I wonder if anyone else realized the irony?